"I have lost almost 20 pounds and 9% body fat and my max weights are up significantly in all areas." I have basically been cutting and have lost almost 20 pounds and 9% body fat. I think the compound lifting helped tremendously. My max weights are up significantly in all areas. I am anxious to see my results as I begin the bulking phase. Nothing kept me from buying the book. I didn’t know anything about Bigger Leaner Stronger when I saw it on Amazon and downloaded a preview. From there I was hooked. It looked much more simple yet defined and understandable than anything I had tried before. Other programs have you in the gym for many more hours with no real defined goals – just a bunch of trendy workouts. It is very apparent that Mike really wants you to succeed and that went a long way with me. The program is very simple to follow. I was very impressed with the research that Mike does whether it is on the nutritional or weightlifting side. I have spent a lot less time in the weight room and less time with cardio. With that said, the time I do spend is much more productive and has showed results that I had previously not seen. I kept trying various workouts and never had a solid plan. Once I was fully committed to Mike’s philosophy on diet, working out, and cardio I started seeing improvements immediately. It’s uncomfortable for me to say but I do feel more confident. I also have more energy and need less sleep. My blood sugar is also down into normal ranges. It’s like night and day. I don’t drag myself to the gym, I go there with a purpose and enjoy working out. I have a defined plan and goals. I don’t guess at meals anymore – if I don’t know everything about the food that’s in front of me I don’t eat it. While I still get to enjoy many different foods I know my limitations. I know what macro nutrients I need to stay on course. I basically have a plan. 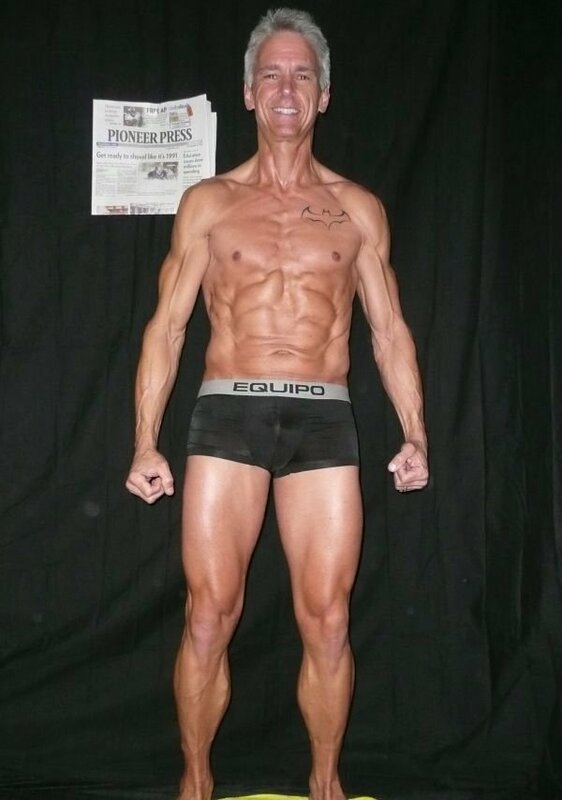 At 53 I didn’t know what to expect as far as results. 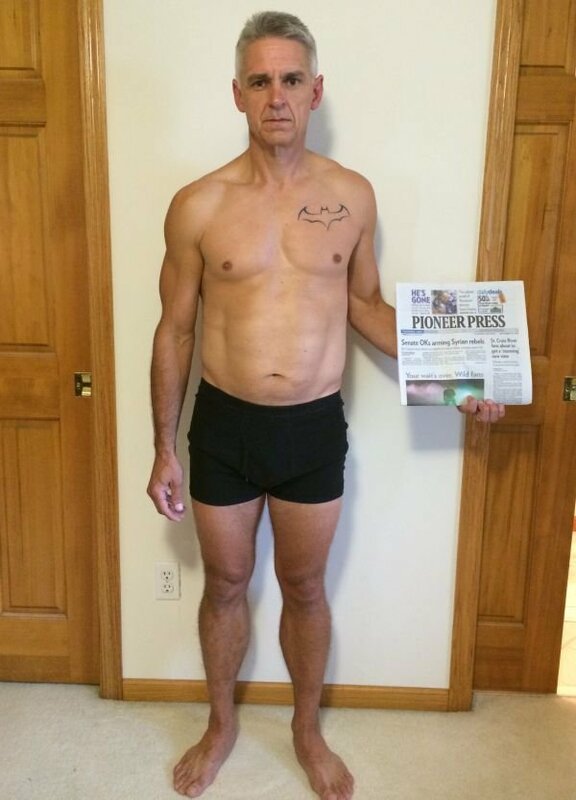 At 54 I am in the best shape of my life. I am actually still fairly new to the program so I am expecting more as I begin the bulk phase. Be fully committed in all areas: diet, weightlifting and cardio. Although Mike provides and resources to an extensive amount of information and research (basically proof), his plan is really quite simple to follow – you just have to follow it. Get a food scale and weigh your food, know exactly what you are eating. Don’t be afraid to document your progress – it is essential to make gains. Refer to his books frequently, take advantage of his website, subscribe to his emails, and watch his podcasts. Mike’s program is like none other. I am not where I want to be (yet) but I am much further along than I ever thought was possible. It is never too late to start. Finally, let other people know what you are doing. It will help motivate you and give you encouragement. 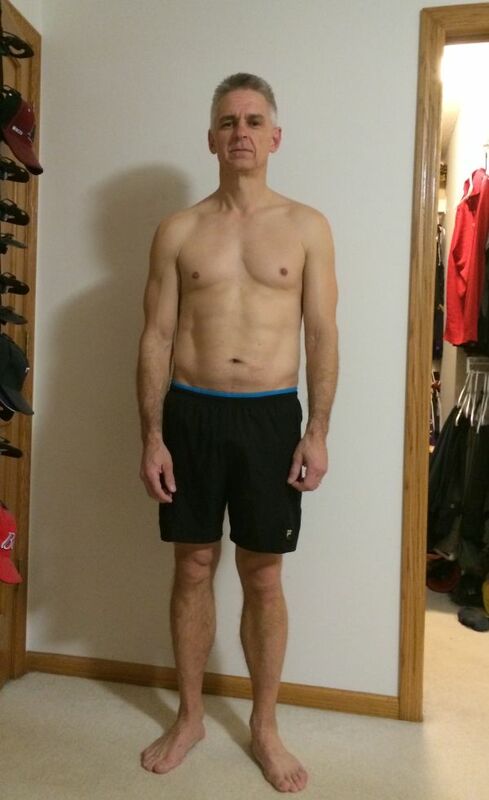 I persuaded my wife to start Mike’s program and she looks and feels fantastic!